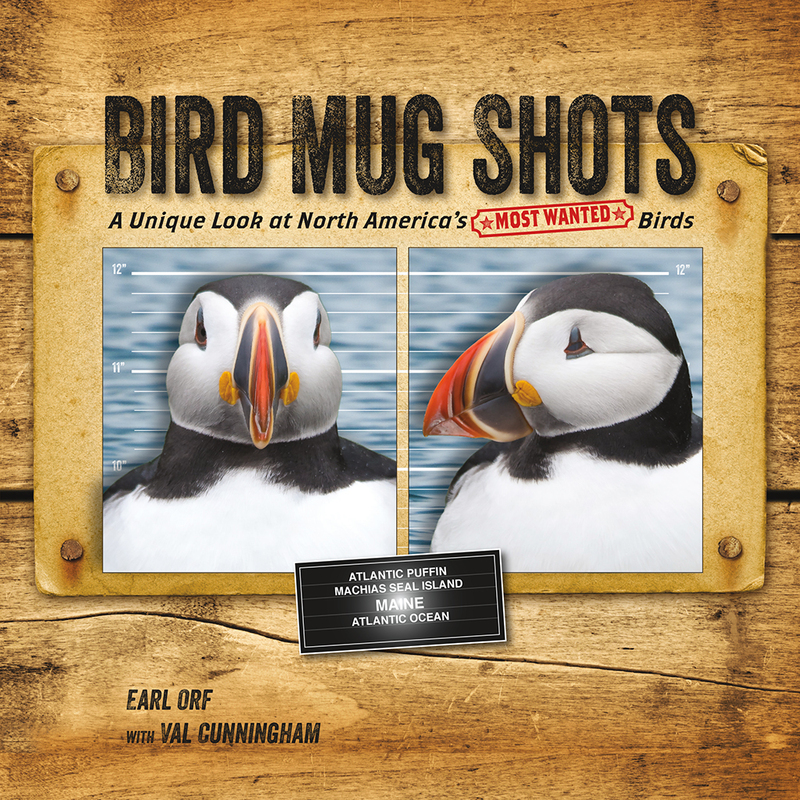 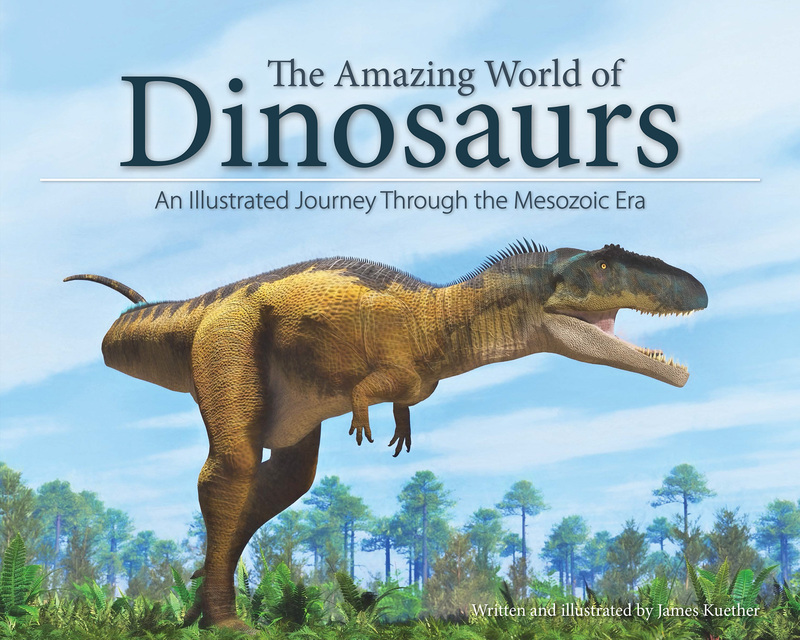 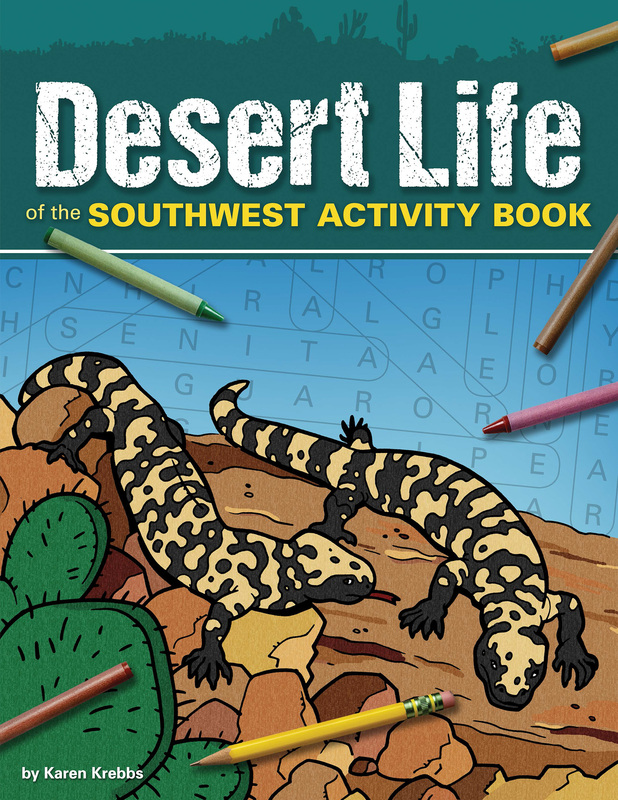 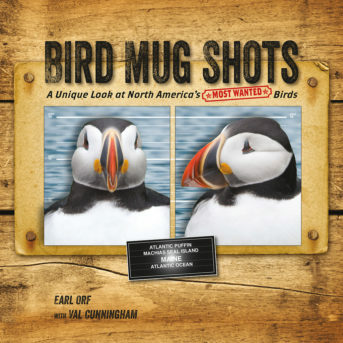 Featuring illustrations of 52 of the most famous, important, and interesting dinosaurs. 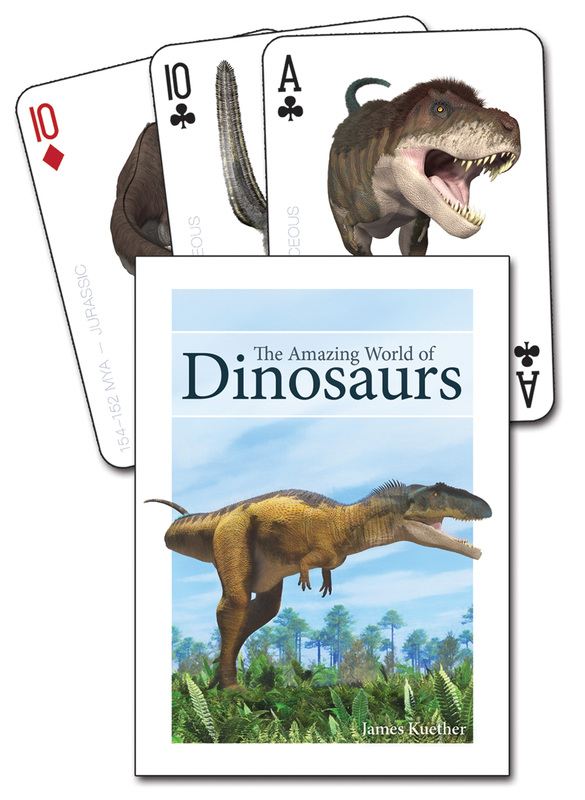 Dinosaurs are awe-inspiring, and this gorgeous deck features detailed illustrations of 52 of the most famous, important, and interesting dinosaurs (and non-dinosaurs) to know, including Tyrannosaurus rex, Dilophosaurus, and more! 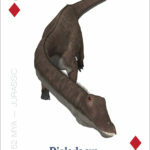 James Kuether painstakingly creates each digital painting with various computer softwares and 3D models. 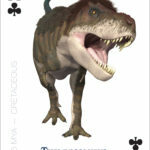 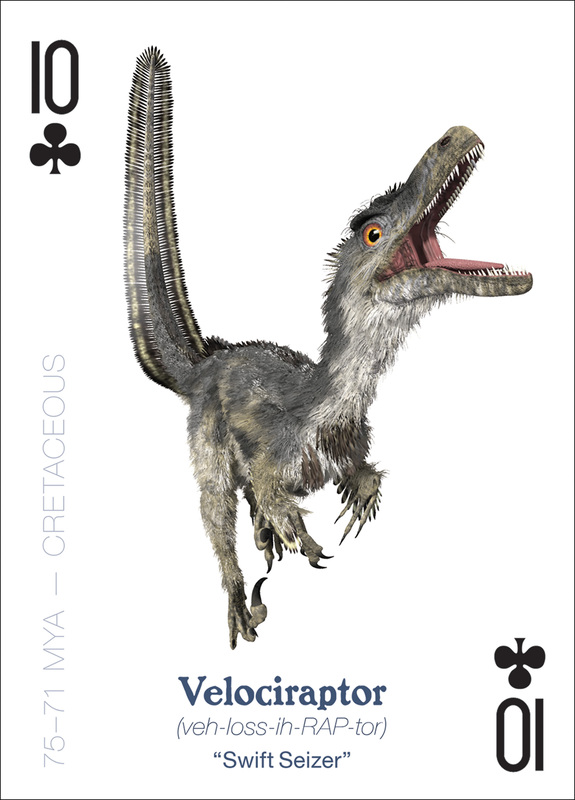 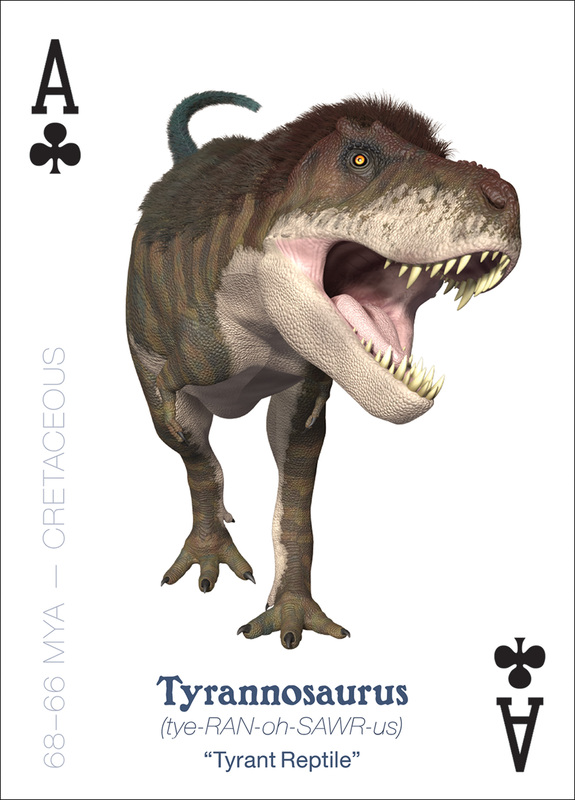 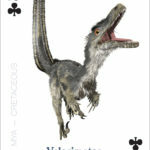 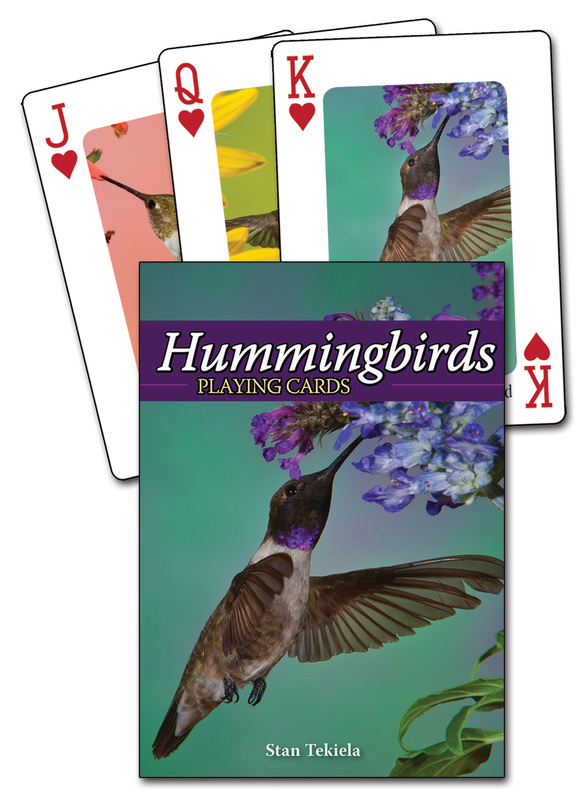 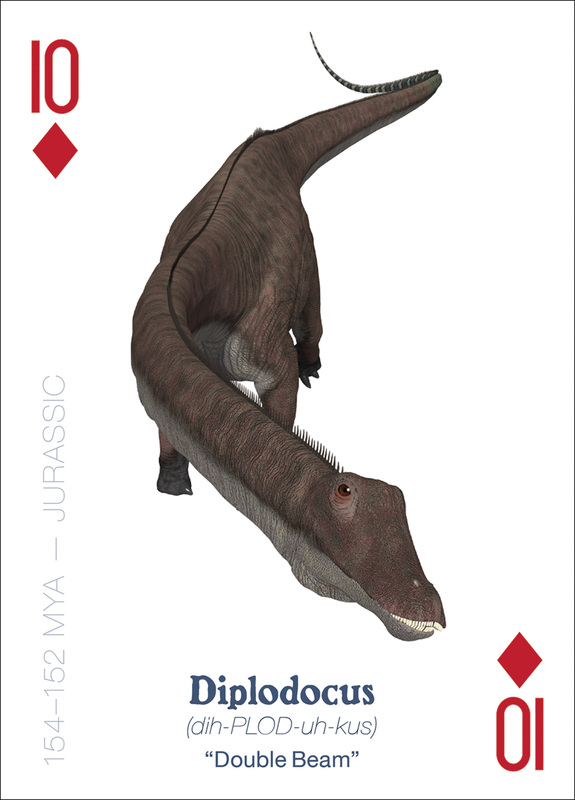 Anyone with an interest in the Mesozoic Era will love having these playing cards for their favorite games or to use as dinosaur flash cards.